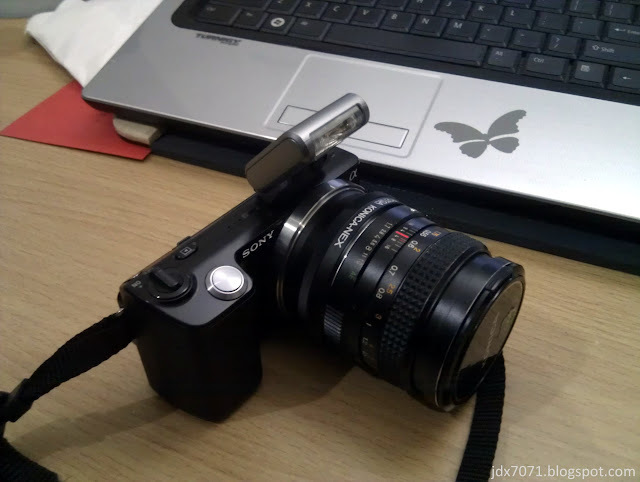 I just received my first non-stock lens for my NEX-5, Konica Hexanon AR 50mm F1.7, that I buy from ebay.com. I use Fotga Konica-NEX adaptor to attach the lens to my NEX 5. The bokeh effect is quite nice. Large F1.7 aperture do performed better in low light condition. More photos using this lens.